A tesseract (in case the reader doesn't know) is a wrinkle in time. To tell more would rob the reader of the enjoyment of Miss L'Engle's unusual book. 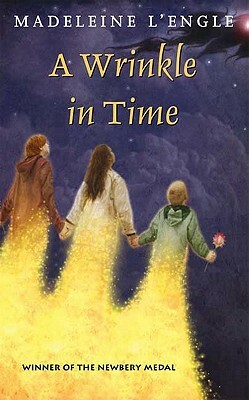 "A Wrinkle in Time," winner of the Newbery Medal in 1963, is the story of the adventures in space and time of Meg, Charles Wallace, and Calvin O'Keefe (athlete, student, and one of the most popular boys in high school). They are in search of Meg's father, a scientist who disappeared while engaged in secret work for the government on the tesseract problem.